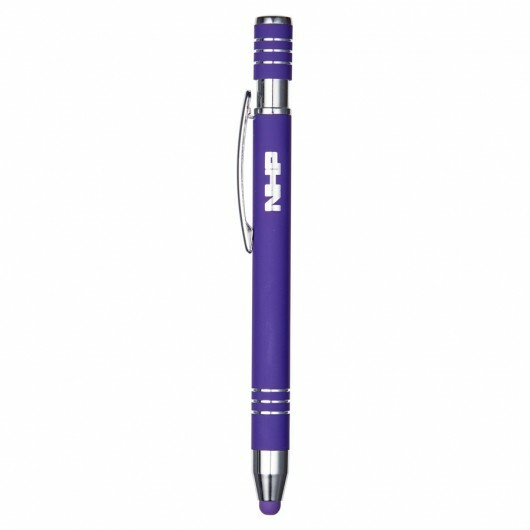 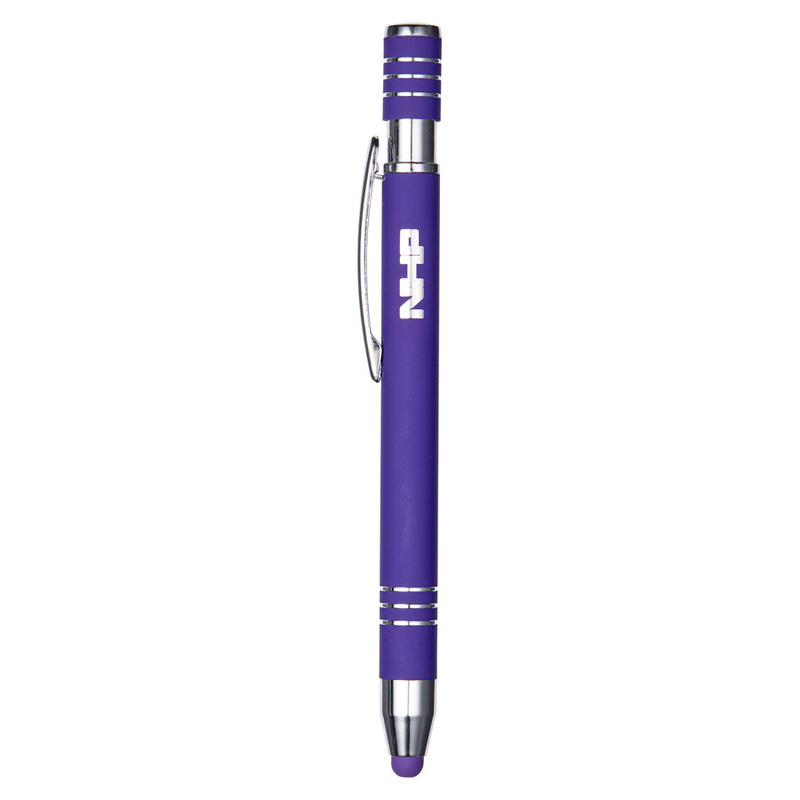 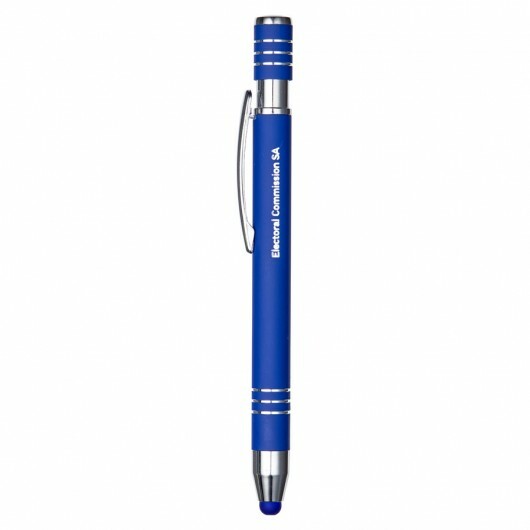 An eye-catching pen with rubberised finish featuring your organisation logo. These rubberised finish metal pens really stand out from the crowd and are extremely practical. 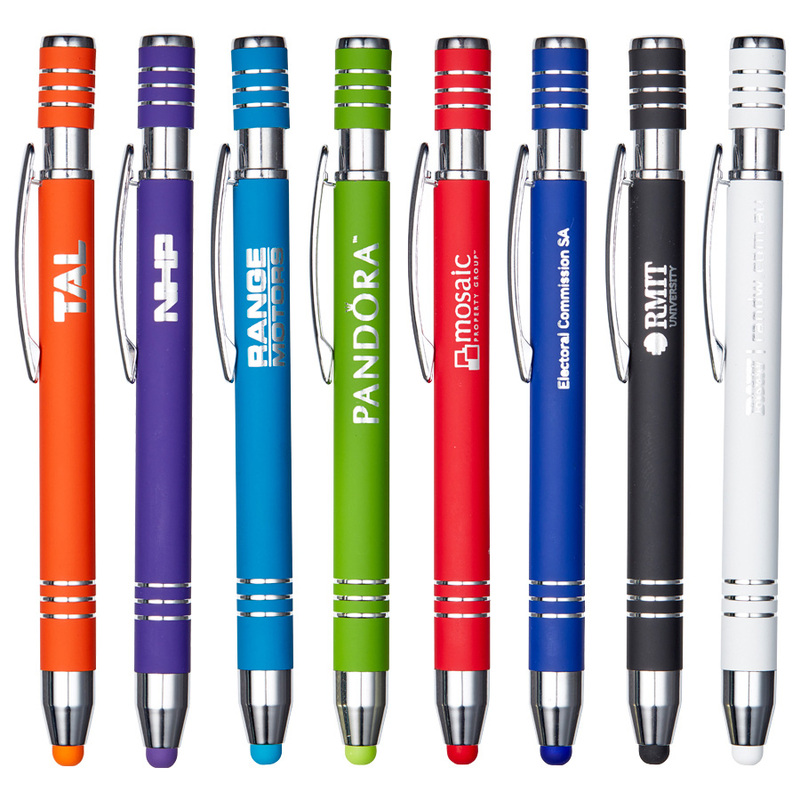 Available in your choice of 8 colours they are click action and feature a matching coloured stylus tip. 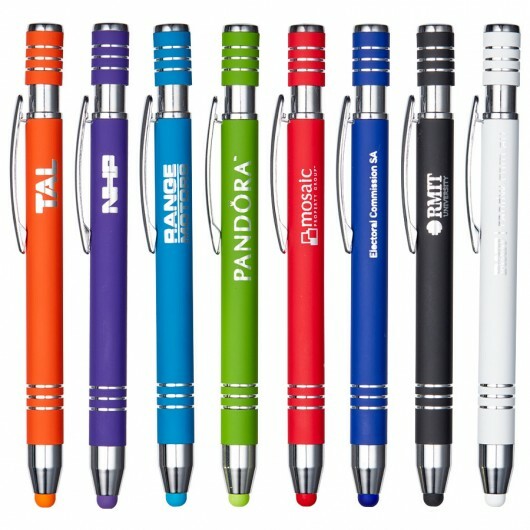 These pens can also be branded with a premium mirror finish laser engraving which we highly recommend! 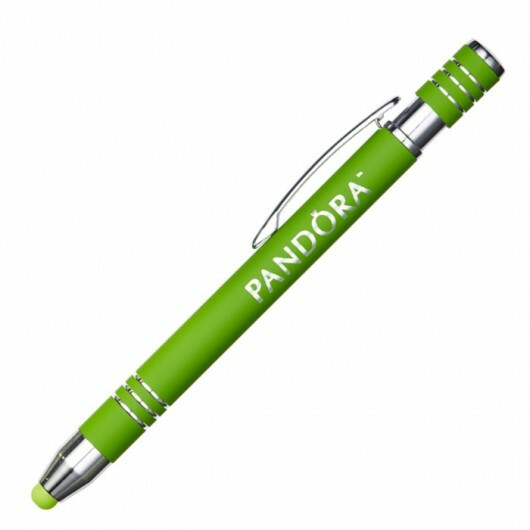 It really adds a sense of class and promotes your logo beautifully.